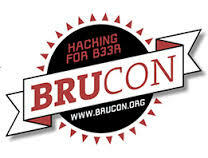 Here are my quick notes from the BruCON 2017 conference. All the slides can be found here. The goal is to find a way to detect malware using htps without decrypting the traffic. drawback – proxy server is expensive. All this logs will be aggregated in order to create ssl aggregations and then generate a ssl-connect-units (each ssl-connect-unit represents a SSL connection). Each ssl-connect-unit have a source IP, destination IP, destination port, protocol and other 40 features (properties) like number of packages, number of bytes, number of different certificates, ratio of established and not established states . A data set was created from all this ssl-connection-units and machine learning algorithms have been used against this dataset. Knock Knock… Who’s there? admin admin and get in! An overview of the CMS brute-forcing malware landscape. The talk was about malware brute force attacks of WordPress web sites which is the most used CMS product. ATA console can be identified with basic banner grabbing. What are secure channels – goal is to guarantee the confidentiality and integrity of data travelling over untrusted network. Security problems are arising where more than one security technology are overlapping. Stop trying to fix human behavior with tech only;maybe that are other ways to fix that. Security isn’t always a business problem, but it’s always a human problem. multiple cloud severs, all using same Fail2ban jail. How can make the different servers communicate. In security operations most of the workflows are manual despite of multitude of solutions. needed an ANP agent installed on each node.